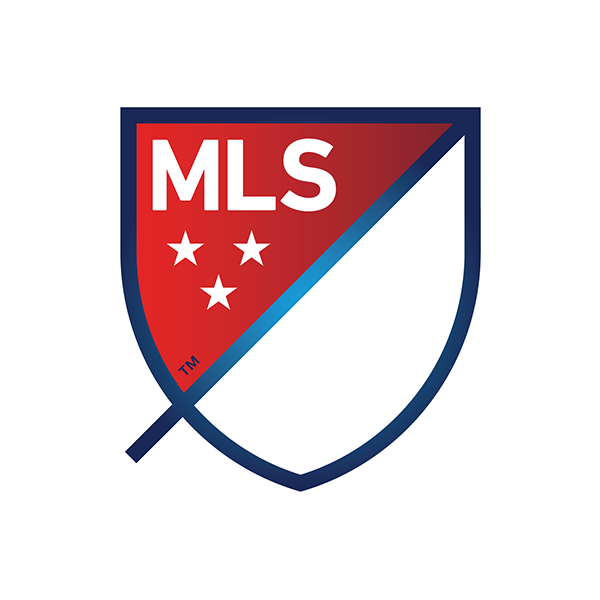 TEAM Coalition and Major League Soccer support the designated driver programs at MLS stadiums every season with a special incentive called the Responsibility Has Its Rewards (RHIR) sweepstakes. Supporters who register to be a designated driver pledge to not drink alcohol, drive their friends and family home safely, and ensure that everyone always buckles up. At the end of the season, one Designated Driver for the Season from each club is selected. The Designated Drivers for the Season from the clubs that compete in MLS CupTM will each receive the Grand Prize of the Sweepstakes. The Grand Prize of the Sweepstakes is a trip for two (2) to MLS Cup including two (2) tickets to the game, round trip airfare and hotel accommodations (if necessary). A First Prize for the RHIR sweepstakes is also awarded. The remaining Designated Drivers for the Season whose clubs do not compete in MLS Cup are qualified to win the first prize. The first prize is a trip to MLS All-Star Game during the next MLS season. That winner will be chosen randomly from the remaining Designated Drivers for the Season. The All-Star Game® trip includes two (2) tickets to the game, round trip airfare, and hotel accommodations (if necessary). 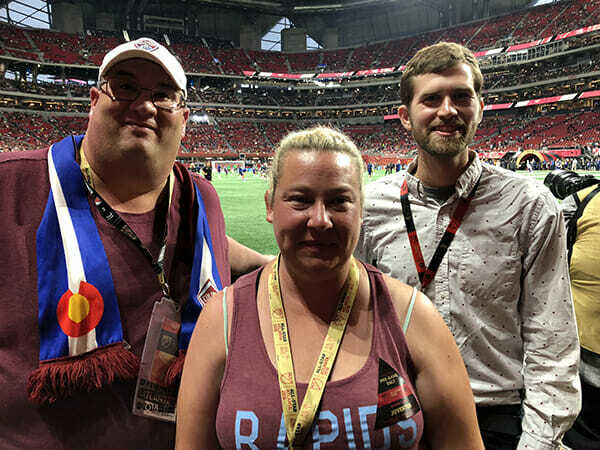 The Colorado Rapids Designated Driver for the Season, Crystal Shively, received a trip to the 2018 MLS All Star Game® at Mercedes-Benz Stadium in Atlanta, GA. The San Jose Earthquakes Designated Driver for the Season, Mike Lambert, received a trip to the 2017 MLS All Star Game® at Soldier Field in Chicago, IL. 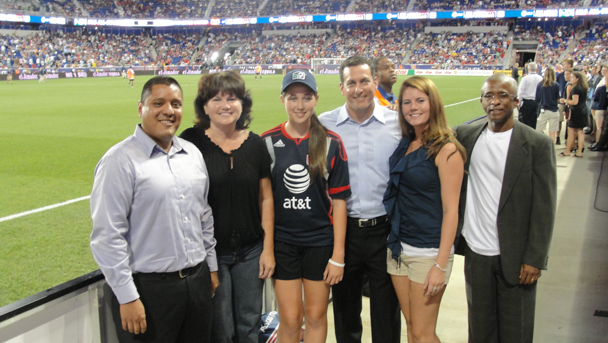 The Toronto FC Designated Driver for the Season, Chastity Marsden, received a trip to the 2016 MLS All Star Game® at Avaya Stadium in San Jose, CA. 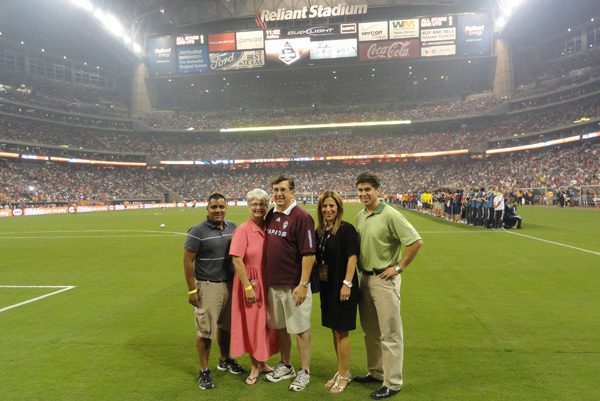 The Colorado Rapids Designated Driver for the Season, Nancy Butterfield, received a trip to the 2015 MLS All Star Game® in Commerce City, CO. The San Jose Earthquakes Designated Driver for the Season, Gabriela Maldonado, received a trip to the 2014 MLS All Star Game® in Portland, OR. A trip to the 2013 MLS All Star Game® in Kansas City, MO was awarded to the New York Red Bulls Designated Driver for the Season, Herb Weltig. 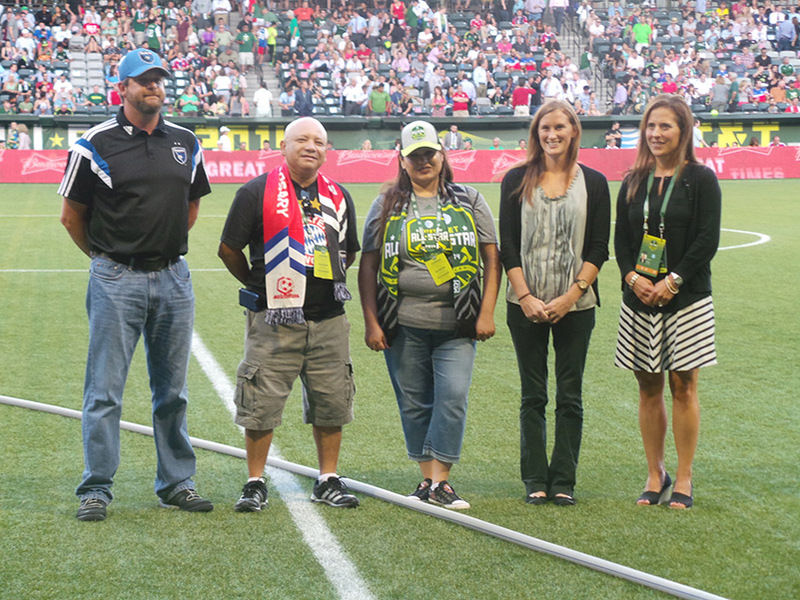 Mr. Weltig was selected randomly from the 17 Designated Drivers for the Season representing MLS teams not competing in the 2012 MLS Cup. The All Star Game® trip includes two (2) tickets to the All Star Game, roundtrip airfare, and hotel accommodations. 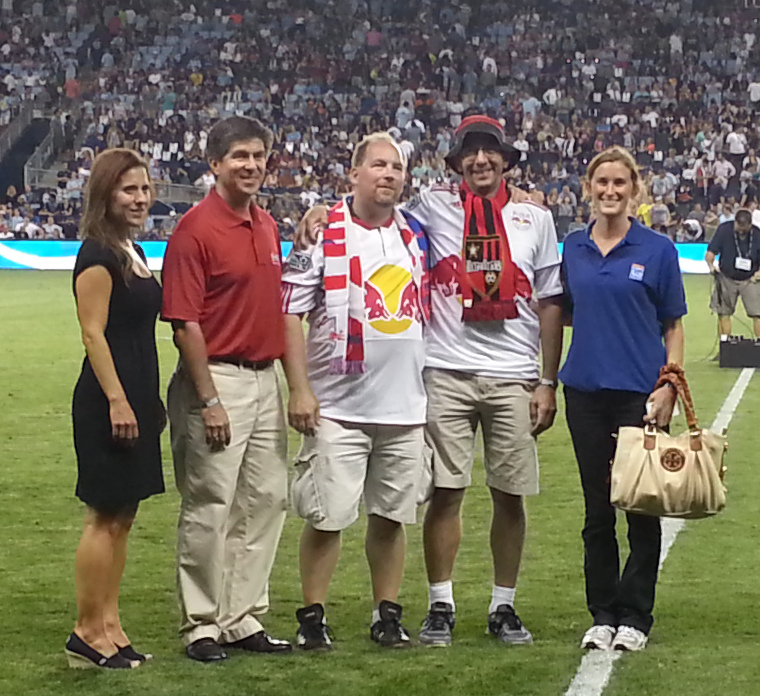 A trip to the 2012 MLS All Star Game® was awarded to the Chivas USA Designated Driver for the Season, Sergio Medina. 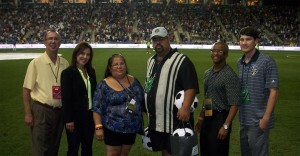 Mr. Medina was selected randomly from the 17 Designated Drivers for the Season representing MLS teams not competing in the 2011 MLS Cup. The All Star Game® trip includes two (2) tickets to the All Star Game, roundtrip airfare, and hotel accommodations. A trip to the 2011 MLS All Star Game® was awarded to the New England Revolution Designated Driver for the Season, Teresa Wojonowski. Ms. Wojonowski was selected randomly from the Designated Drivers for the Season representing MLS teams not competing in the 2010 MLS Cup. The All Star Game® trip includes two (2) tickets to the All Star Game, roundtrip airfare, and hotel accommodations. A trip to the 2010 MLS All Star Game® was awarded to the Colorado Rapids Designated Driver for the Season, Larry Gloss. Mr. Gloss was selected randomly from the Designated Drivers for the Season representing MLS teams not competing in the 2009 MLS Cup. The All Star Game® trip includes two (2) tickets to the All Star Game, roundtrip airfare, and hotel accommodations.